The concept of the Open LFB has grown from a pre-season tournament in 2002 to the largest annual event in women's professional sport in France. Gone are the marketing gimmicks of "Basketball and the City" and "tous addicts" and "Open Addict" which were used to promote this occasion in the past. Today the LFB have poster competitions inviting the general public to choose who they would like to see on the posters. The players selected are then involved in marketing promotional events and video shooting. "L'Open LFB" has become a product of the Ligue Féminine de Basketball (LFB) which has been exported by other sport federations in France and Europe. 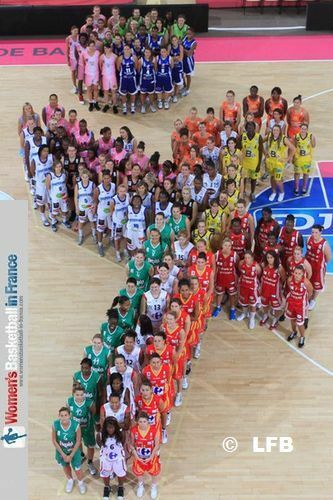 The first official Open LFB code named Basket and the City was played in Paris at the Stade Pierre-de-Coubertin. The opening day was so successful that Jean-Pierre Siutat decided to repeat the event in 2006. It was also determined to keep the LFB show in Paris despite not having a team from the capital in the LFB. The attendance rose to record proportions and the coverage by the media was something that had not been experienced in women's basketball in France. At the end of the year Basket and the City won the award "Prix spécial du Jury des Trophées Sporsora du Marketing sportif 2006". In 2007 LFB-TV was used for the first time to broadcast games from Basket and City 3 for viewing all over the world. The opening day is not only about playing basketball. In between games there are plenty of presentations for different basketball initiatives, basketball marking presentations and award giving. Normally the awards for the trainer/coach of the year are presented in all the categories. In addition medal winners from the summer senior and youth international competitions are not only presented to the crowd but have dedicated autograph sessions. For womensbasketball-in-france.com the LFB season tips off with the Open and every year we look to improve our coverage. You are able to find the relevant links on the right side of this page of our reports right up to the current season.